I’ve been getting lots of questions from you lovely lot about what style I am going for in the new house – not so much with the furniture and styling but more to do with the fabric of the house. 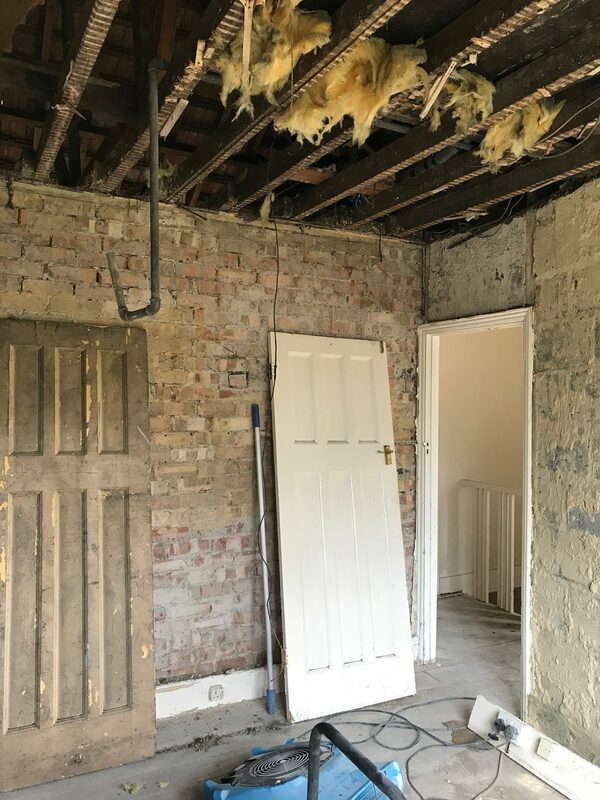 The short answer is that I am trying to reinstall as many of the period features as possible and replace what we ripped out in the renovation process. I want the house to have a period feel and look whilst being totally modernised. Jules and I had a bit of a heated debate about whether or not it was worth the cost to reinstall the picture rails, dado rail and coving. I was adamant that it had to happen as these details are so important to bringing a period feel back to the house and without them you end up with a blank white box, which is basically a new build. 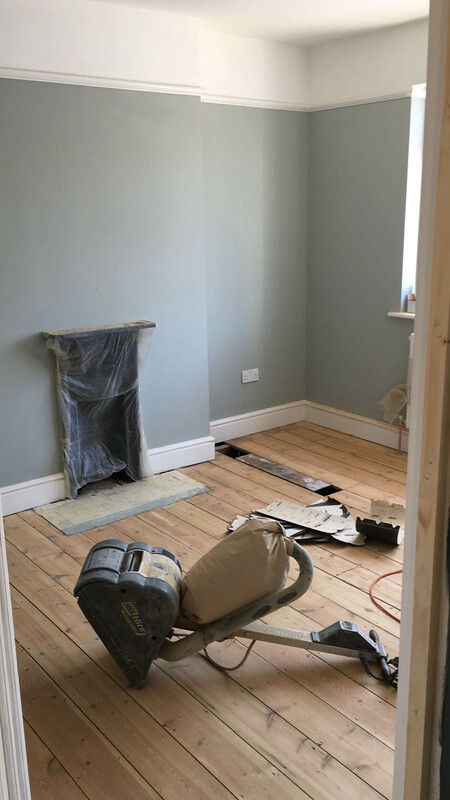 We have been very lucky that the floorboards in the house are in good condition, especially as we have run out of money for carpet upstairs, which is what I had originally planned. Jules has sanded down the boards and we will finish them once all of the building work is complete before we move in. 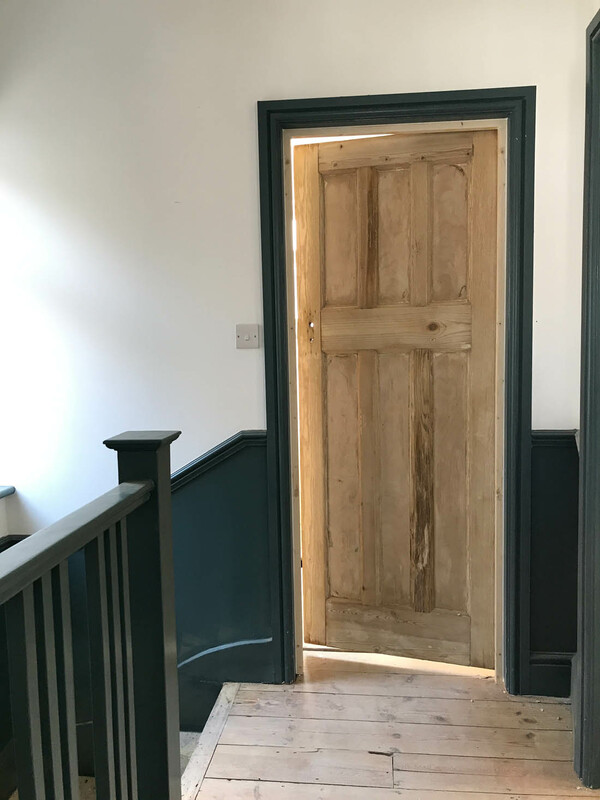 Our contractor, James, suggested using a mixture of white paint and white spirit as a stain to tone down the orange in the wood and then to oil over the top of that for a matt effect. We will try that as it is cheaper than alternatives and resort to Osmo oil (quite pricey) if not happy with the effect of the paint stain. The boards in their original state. After sanding – a little too orange for us as they will be much darker than this once they are oiled. Therefore, we need a white stain to neutralise the orange tone. 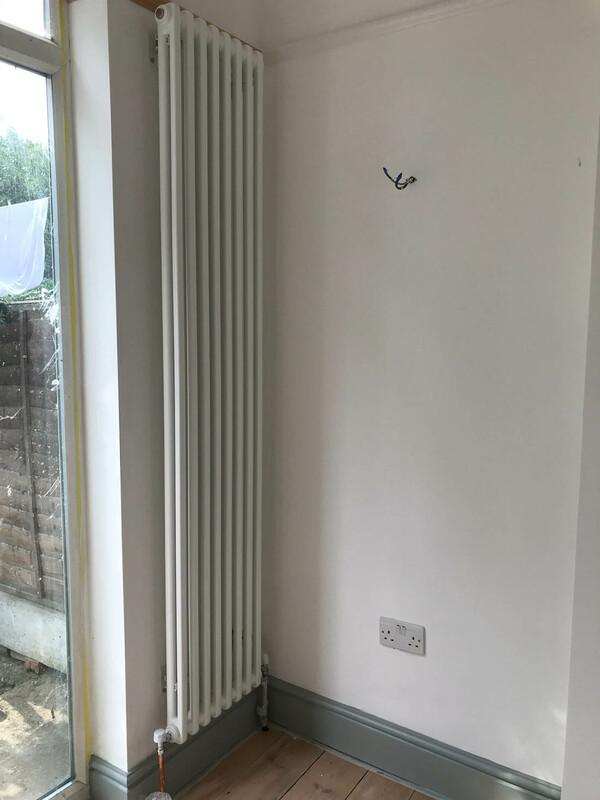 One of the things I was very insistent on was that we needed to spend the extra to install column radiators, which feel a lot more in keeping with a period home. Downstairs we were faced with the issue of losing wall space for radiators once they were knocked down so we went for a vertical column radiator that was very kindly gifted to us by PlumbNation and is made by Myson. It fits in very neatly next to the French doors as it is surprisingly slim (something Jules was worried about as he though this style radiator would take up too much space) and isn’t a complete eyesore as some radiators can be. We bought the same style radiators for the rest of the house and it really does make a real difference. Luckily all the original doors in the house were in tact and we had the added bonus of finding another one in the loft. We had them dipped and they look so lovely now! Getting original internal doors back in place is worth the extra effort even if you need to source them on eBay or the like. I always find that a fireplace adds instant character and charm to a room as well as giving it a focal point and structure. We have put some little fireplaces back into the two main bedrooms as well as a 1930s fire surround in the living room. 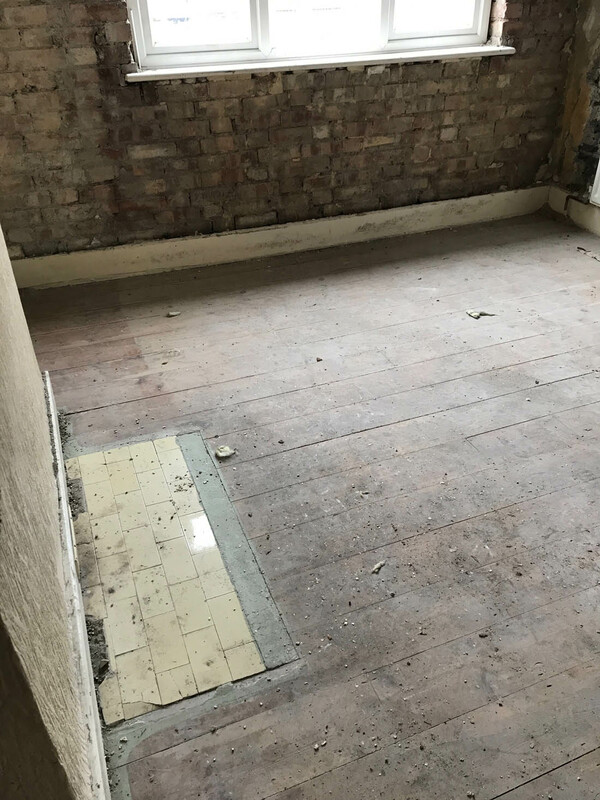 As well as this we will try to fix the original hearth tiles upstairs and unfortunately the tiles downstairs are beyond repair so we will source some replacements. Very sadly I have had to concede to replacing the UPVC front door with a reclaimed original 30s door. We just don’t have the budget at the moment and other things have taken priority. However, changing the door would completely transform the hallway so if you have the option, do it! 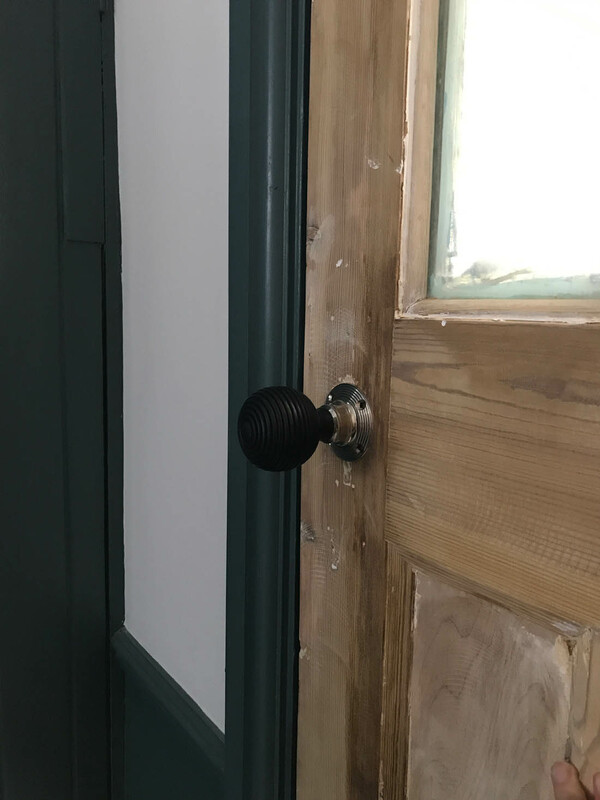 The small details that you add at the end of a renovation project make a massive difference and door handles, for example, are one way of adding lots of period charm. I have had such a hard time finding door handles that I like that are within my minimal budget as most are at least £50 for each door. 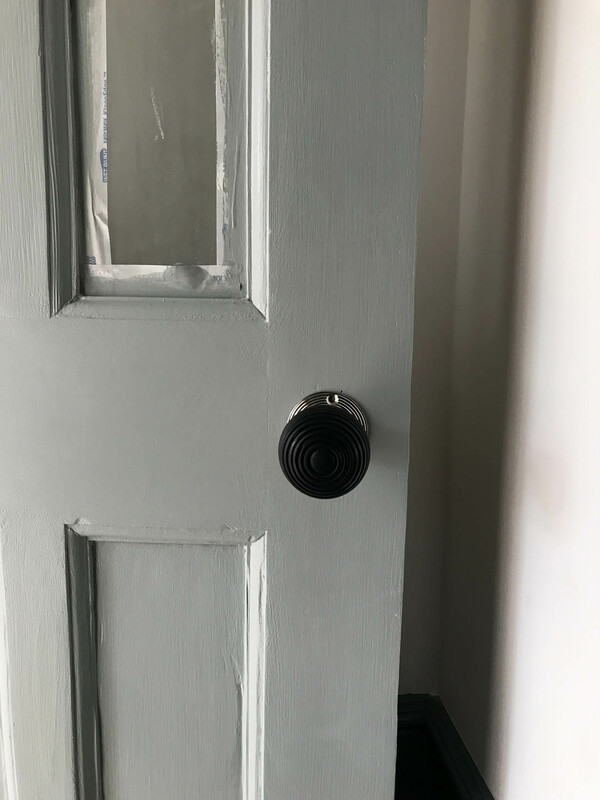 However, I came across these ebonised beehive handles that were only £17 for each door so even though they are not quite of this period the colour works well. Is there anything that you have done to add period charm back to an old house? I’d love to know about your project or see pics – so many of you have shared pics of your 30s houses with me and it has been so fun seeing the similarities. Do get in touch! 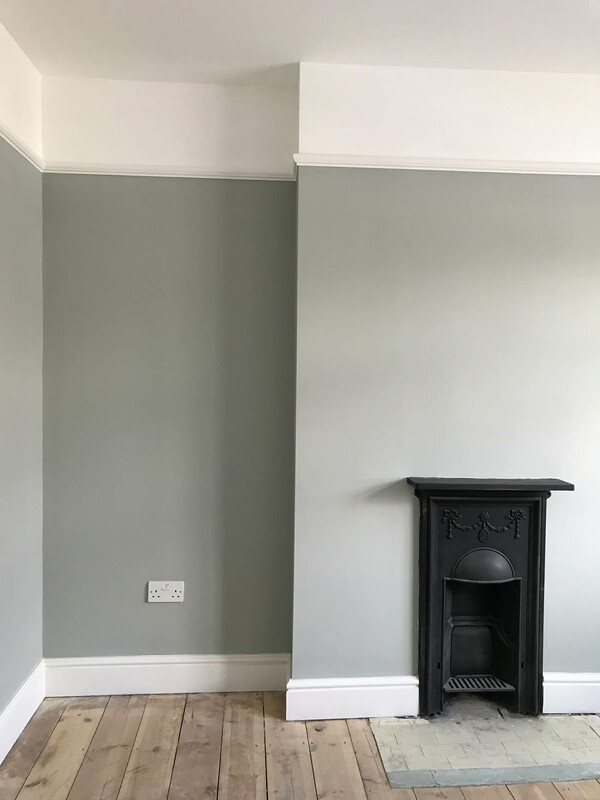 We stripped back the chimney breast in our open-plan kitchen/diner to bare brick and sealed them. I love exposed brick and this little touch definitely gives the room a focus point. Love what you’ve done so far! Excited to see more. 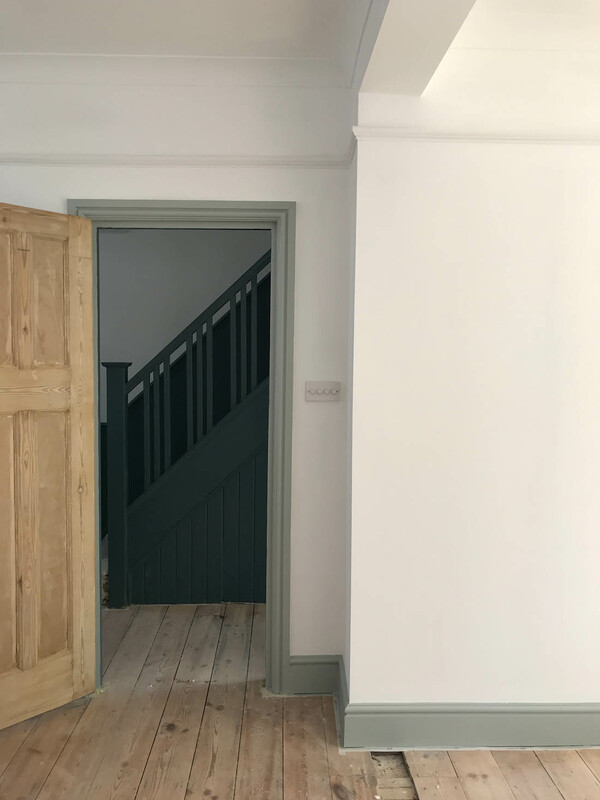 With limited funds and a whole house to do we went with the ‘easy’ option of white glossing all skirting, the banisters and the doors (which were rather yellowed :/) Would love to think about stripping them at some point! We also stay in a period house in South Africa, the interior is soooo gorgeous and almost 100% original but dadly the exterior was updated… also working on bringing old features back. We redid the flooring when we moved in and I kept all the pocturerails but love how you actually used them to separate accent colours and our front door is a gem!!! Definitely gonna follow your progress!!! Loved this list- I think for our old flat I would say coving and ceiling roses… and windows make a massive difference too… but boy are they expensive. Our last house was a 1930s house in Eastbourne and we loved it. 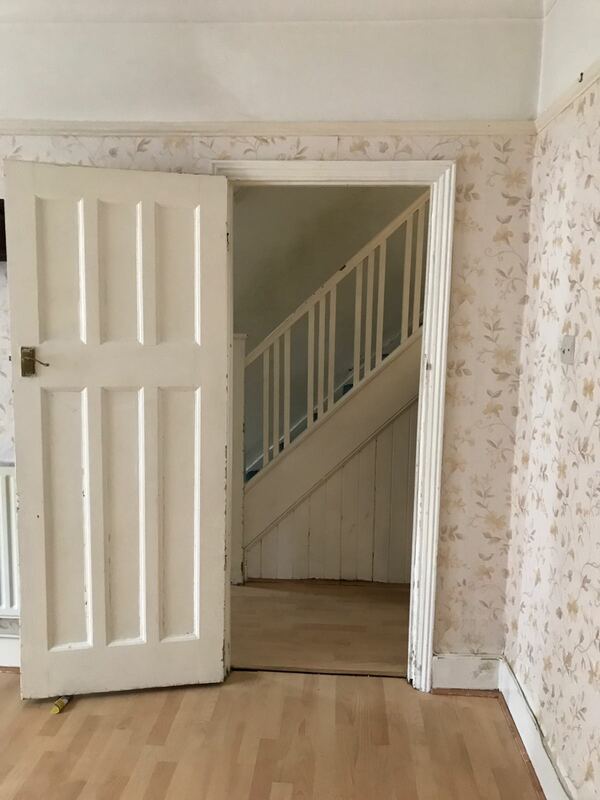 Our internal doors had a single insert panel at the top and downstairs the previous owner had replaced the insert with 1930s style stained glass, just as these houses would have had in the tops of the windows and the front door. It was really effective and not something I’d have thought of myself. 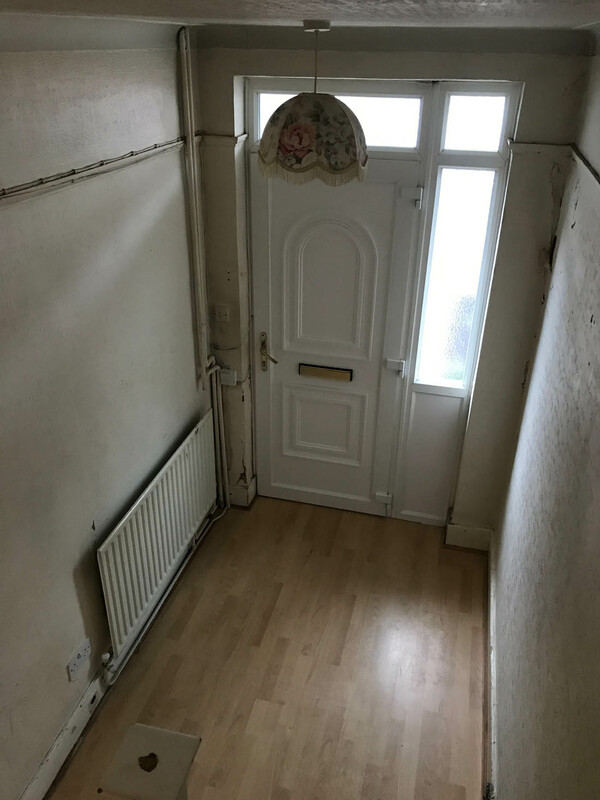 Sadly we also had UPVC windows and external doors, although I managed to buy a replacement period wooden front door on ebay. 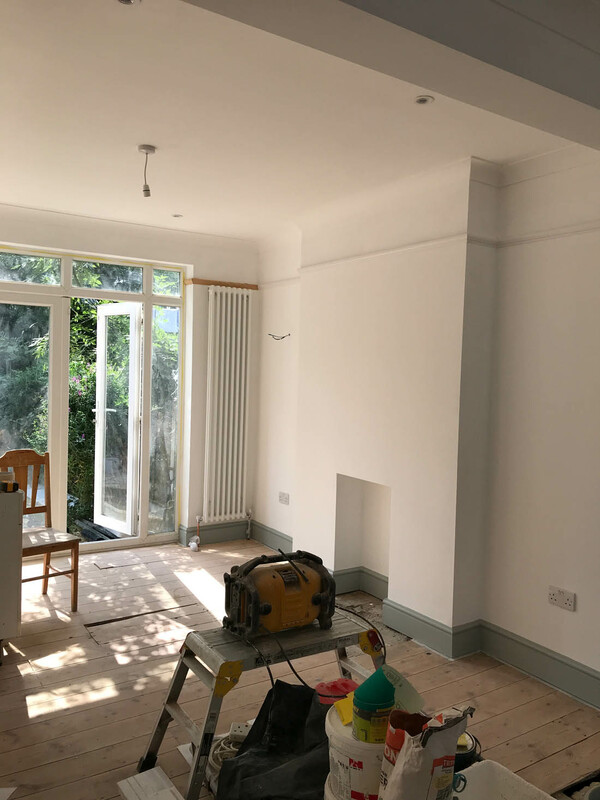 Coving and picture rails make all the difference, well worth it. It all looks lovely. It’s looking a amazing and coming on so fast. I am now struggling with final touches like choosing pendant light shades and kitchen splash back. Help! I want cheap yet delightful! Is it possible?